traditional Kyoto cooking overcame its handicap of being distant from the sea by developing a cooking style rich in fresh and pickled vegetables. It has since become an art form where the ability to present food beautifully is as essential as it having a beautiful taste. Cut up, flavored, and arranged with complimentary flatware each presentation is unique to every location and preparer, and reflects a legacy of unbroken tradition. In modern times, we extend the opportunity to enjoy our meals,which start with Kyoto's most well-known vegetables and ingredients that sourced locally and from abroad, chosen by the preparer in order to be the best product for their craft. We sincerely hope you will enjoy with us a truly unique chance to see firsthand Kyoto hospitality with our food and Maiko. - Seiji Hatanaka Owner of Gion Hatanaka Ryokan. and treat them with the greatest of care. We start with Rishiri Konbu and fresh seasonal vegetables from Kyoto. We carefully select our seafood from every region. try the delicate flavors of Kyoto. We offer our location for Weddings, gatherings, shine visit parties, weaning parties, Special birthday parties for children 7,5,3, and 60th birthday parties (these are traditional celebrations in Japan that may be less known in the west). We will match our hospitality to the mood of any celebration to make it an unforgetable occasion for everyone. The Yassaka Jinja-temple is a splendid and quiet part of Kyoto that will complement the atmosphere of any wedding receptiong. 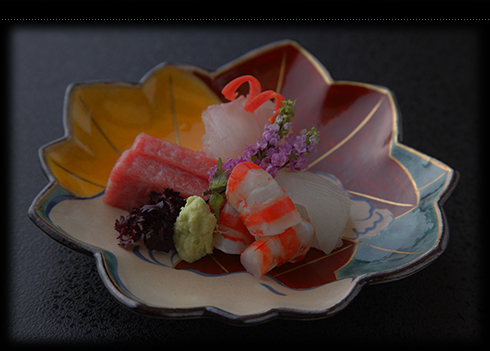 We will greet your special guests with Kyoto style fine dining and the pleasant ease of Japanese hospitality. In addition to the place settings, we can provide chairs and tables for your guests. For those that are mourinng the recent loss of their loved ones, we provide our condolences with respectful, heartfelt meals so that allow our guests to focus on spending their time with family. Gion Hatanaka has very formal private rooms available to reserve. Kyoto dining and Japanese hospitality can be used to create a refined formality for interviews and meetings. Geisha and Maiko are also available as banquet companions for serving sake. Please let us know in advance if you would like their services. We hope you will let us use our cuisine and hospitality to create a lasting memory in a relaxed atmosphere with your friend, colleague, or family member, as they are leaving to write the next chapter in their lives.